He later typed his mood, thoughts and emotions into an electronic journal for the Behavioral Core Measures experiment. 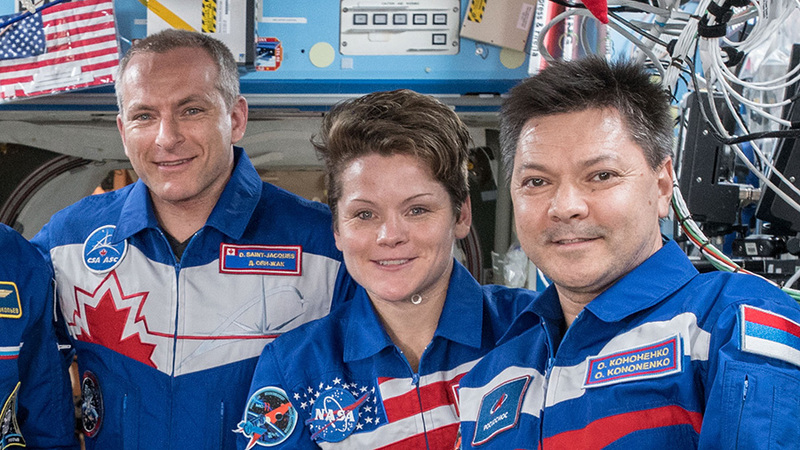 The psychological study seeks to understand how the spacecraft environment, long-term separation from family and friends, loss of day-night cycle and other factors impact crew behavior. In the Russian segment of the station, Commander Oleg Kononenko transferred fluids and packed trash into the docked Progress 70 (70P) cargo craft. The Progress resupply ship is due to undock from the Pirs docking compartment on Jan. 25. A second docked Progress cargo craft, the 71P, fired its engines shortly after 1:01 p.m. EST to raise the station’s orbit. The reboost comes in advance of upcoming cargo missions and the next crew launch in February. These studies are important. There are a lot of variables. The home environment is a strong influence. I was a merchant mariner for 15 years and know well how this remote lifestyle can affect minds. Shipmates become like family, and the ship is your home which all onboard are it’s caretakers. When I went on vacation, it felt like I had to get reacquainted with friends and family each time. That was a small inconvenience. I think a 6 month assignment onboard the ISS would be a walk in the park compared to a voyage to Mars. Like a million others, I would love to have an opportunity to visit the ISS. Totally support the development of the BFR. Though I think concentration should be put on the development of orbital platforms for Earth, The Moon and other high value locations in space. Looking at the diagram of the BFR the internal pressurized volume is impressive! It could be even more if removable bulk heads were incorporated into the design so crew could remove these and have access to the very large fuel tanks. If the craft was intended to stay in space then not only larger payloads and more internal volume could be possible but the craft would not require the sophisticated hardware that enables it to land on planetary bodies. One or maybe two of these crafts docked together would give us the same or more pressurized volume of the International Space Station. This craft is our orbital transfer vehicle. Capsules to deliver astronauts to low Earth orbit then they transfer to this spacecraft to complete the journey to The Moon or other destinations in the solar system. The possibilities of this system are many. I would urge policy makers to fund this for an orbital lunar outpost with accompanying telerobotic industrial activity on the surface of the Moon. Being able to be an astronaut is a God given blessing, I always wanted to have such an opportunity to travel to the moon, see the world from there. Just being here and seeing how beautiful it looks from here is unimaginable what it really looks like up there. Blessings to you all. I’m suprised it’s not full in here. I’m also suprised and honored to be talking to such fantastic minds.